Accepting names for Wait List in case of cancellations. 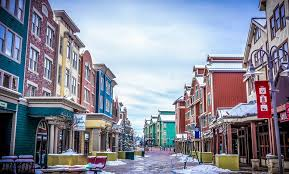 stay in SLOPESIDE condos in Park City, with a town shuttle stop at the lodging property. non-stop round trip flights from Orlando to Salt Lake City (no hassle with connecting flights). trip includes parties with food and dancing, as well as a fun race, sponsored by the Florida Ski Council (FSC). PACKAGE PRICE WITH NON-STOP AIR into Salt Lake City: $2,218 per person (pay by check or credit/debit card). All prices quoted are based on 4 people in a 2-bedroom/2bath condo. Contact the Trip Leader for pricing on a single occupant bedroom. Orlando Ski and Travel Club current membership, a trip deposit and a completed OSTC online trip application are required to reserve space on this trip. round-trip air into Salt Lake City; 7 nights lodging; ground transfers, including tax and luggage handling gratuities; pre-trip party; welcome event; two FSC parties with food, DJ & dancing; mountain lunch; fun rally; commemorative pin; OSTC luggage tag & promotional item. November 5, 2018........$600.00 per person. December 14, 2018 . ....Balance due. IMPORTANT: if paying by credit/debit card, full trip cost will be charged at the time you complete your online trip registration. NOTE: must have a minimum of (10) participants for the Powder Mountain day trip; maximum of (14) people. Estimated drive time is 90 minutes each way. Leave for Powder Mountain from Snow Flower at 8 am; leave from Powder Mountain to return to Park City at 4 pm.